For the past 20 years, Dr. Jeff Welker, a Fulbright Distinguished US Arctic Chair, has been investigating the water isotope cycle in the Arctic and across all of N America. His US Network for Isotopes in Precipitation (USNIP) and his Alaska Water Isotope Network (AKWIN) are multi-site programs that quantify the means by which the hydrologic cycle operates today, how it may have behaved in the past via ice cores, cave deposit and tree ring analyses and how the water isotope cycle of the Arctic and N America may behave in the future. Welker’s program has been funded by NSF, including an Arctic-based program in N Alaska as part of a High Risk-High Reward research endeavor at the Toolik Lake Field Station, south of the Arctic coast at Prudhoe Bay. Welker’s land-based program, with the participation and tremendous capabilities of scientist Dr. Eric Klein, has shown that rapid changes in the Arctic Ocean sea ice may be recorded in the water vapor isotopes detected over 100 miles inland. 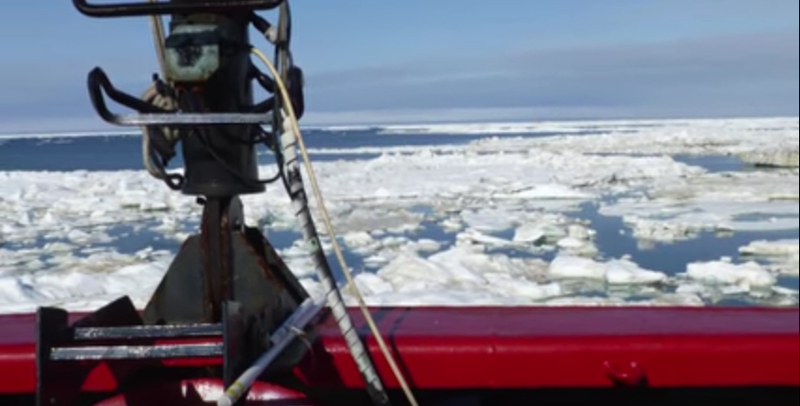 This discovery that Arctic sea ice conditions may be measured in real time, using cutting-edge laser-based isotope detection technology has now been extended by Welker and Klein into the Arctic Maritime system with a USCG icebreaker mission aboard the USCG cutter, Healy, during the summer of 2015. Welker and Klein are the first to explore the water vapor isotope properties in real time, over the course of a 1000 mile expedition from Kodiak Island to Prudhoe Bay and return. “The Arctic water cycle is changing,” Eric Klein said. Klein and Welker at the University of Alaska Anchorage are using isotope analysis to help demystify changing Arctic environmental conditions. Eric Klein is a research scientist at the University of Alaska Anchorage in the Department of Biological Sciences and the Arctic Domain Awareness Center. 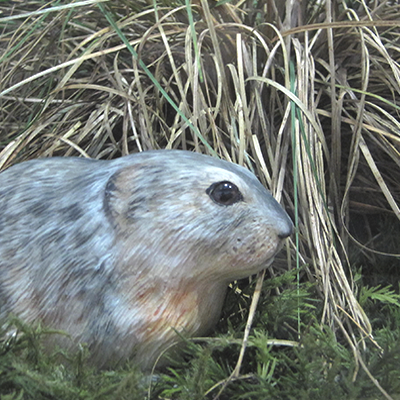 Klein works in an NSF-funded program led by Dr. Jeff Welker, Fulbright Distinguished US Arctic Chair and professor of Biological Sciences at the University of Alaska Anchorage. 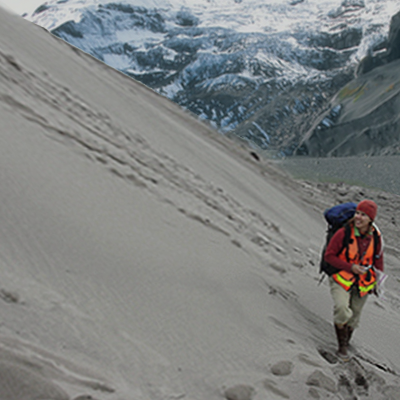 Welker has been investigating the water isotope cycle in the Arctic and across North America for the last 20 years. Welker and colleagues including Klein are investigating how changes in arctic sea ice impact the water cycle. Isotope science is broadly useful. It has many applications and will take far more than one article to explore. For now, what is an isotope? 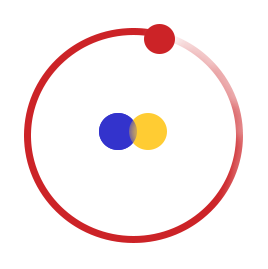 First recall that an atom’s nucleus is composed of protons and neutrons, around which electrons orbit. Elements on the Periodic Table have an atomic number equal to the number of protons in their nucleus; atoms of the same element always contain the same number of protons. Welker, who teaches Isotope Biogeochemistry and Food Webs at UAA, reminds us for instance that 99% of the carbon in the global system is 12C (6 protons + 6 neutrons = 12) while 1% of the carbon is 13C (6 protons + 7 neutrons = 13), an isotope of carbon. These are stable isotopes Welker reminds us that are not harmful, but some isotopes are radioactive, like 14C, which is used in dating organic material like a bison or mastodon bone. Stable isotopes are useful in their own way as they reflect natural processes. Thus, isotopes are atoms of the same element that are slightly different in composition. They contain an identical number of protons, but different numbers of neutrons. These slight mass differences very slightly affect their behavior and the means and way in which they operate in global biogeochemical and hydrogical process, Welker says. Take another example: all oxygen atoms contain 8 protons. 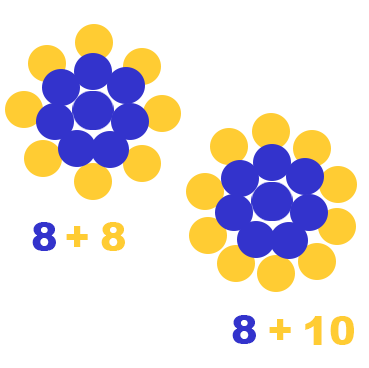 The isotope oxygen-16 contains 8 neutrons (8 protons + 8 neutrons = 16), while the isotope oxygen-18 contains 10 neutrons (8 protons + 10 neutrons = 18). The nomenclature expresses the ratio of the heavy to the light isotope called a ‘delta value,’ its symbol being δ, which expresses the ratio of the heavy oxygen-18 to the light oxygen-16 as δ18O and for carbon being written as δ13C. 18O and 16O are both present in water (H2O). Because H218O is heavier than H216O, the mass difference causes the different water molecules to behave slightly differently. “For instance, the lighter form is preferentially evaporated, while the heavier form stays in the liquid phase to a greater degree; and when it rains, the H218O [heavier] preferentially rains out compared to H216O [lighter] as rain clouds move from the ocean to coastal to inland areas,” said Klein. Water molecules with lighter weight take less energy, less heat, to change state from a liquid to a gas and more easily turn into water vapor. Water molecules with 18O need more energy, more heat, to evaporate into water vapor. Once there, the heavier weight makes 18O more likely to condense into rain or snow and fall back to Earth’s surface. For instance, Welker’s USNIP and AKWIN show in the form of isotope maps (isoscapes) that as one looks at precipitation from the lower to the higher latitudes, the precipitation becomes progressively depleted in the heavy isotope 18O as it rains out along the South to North gradient. 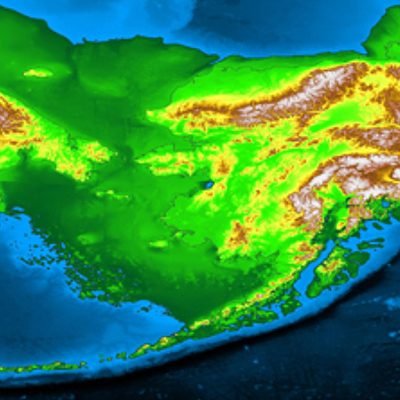 These spatial patterns or “isoscapes” reflect a suite of process that Welker, Klein and colleagues have been investigating since 2000, showing that along latitudinal gradients in Alaska and in N America that the precipitation is progressively depleted in the heavy 18O isotopes as one goes up in elevation and that as storms move from coastal to inland sites, the heavy isotope 18O rains out preferentially compared to the lighter 16O. Thus at coastal and at lower elevation and lower latitudes, the isotope 16O dominates the water cycle. In addition, Klein and Welker have shown that in Alaska there is very strong correspondence between air temperatures and water isotopes based on long-term sample collections at Toolik Lake Field Station and at Denali National Park. 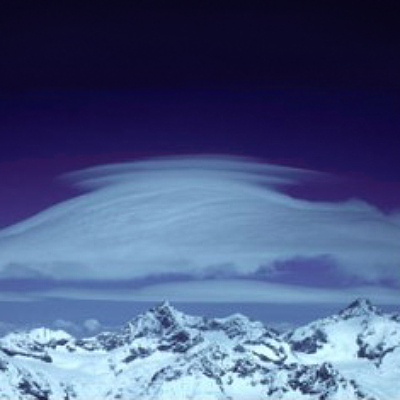 These reliable relationships provide the basis for our ability to unravel the climate records left in ice cores from places such as the McCall Glacier and Denali Mountain, Klein emphasizes– as he has just published a paper on this application. “It is the difference between these heavy and light forms of oxygen and hydrogen and how they interact in the environment which gives them different values [signatures] that we can then in turn analyze,” Klein explained. In general scientists use high-tech machines called isotope ratio mass spectrometers to analyze isotopes in the water, carbon and nitrogen cycles. The machines measure isotopic ratios in a substance and compare the measurement to a standard ratio. 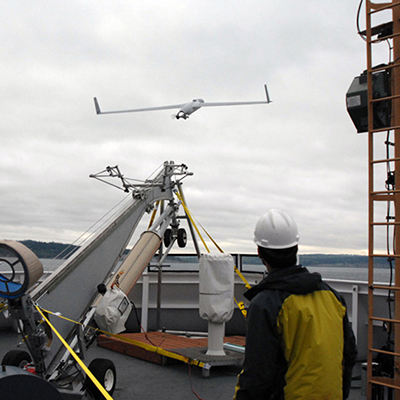 However, new technology that is laser-based allows Welker and Klein to measure the isotopic ratios of water vapor, carbon dioxide (13CO2) and methane (13CH4) continuously in real-time at fixed based stations like Toolik Lake, Alaska, and on mobile platforms like the icebreaker USCG Healy during the summer expedition to the Arctic Basin. 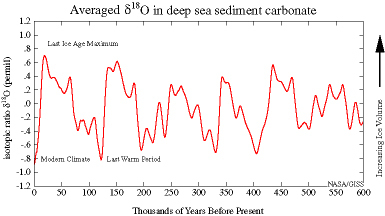 In their most recent application of water isotopes to questions of ocean hydrological processes, Klein and Welker collected water vapor samples one-time per second for 25 days, making over 5 million measurements of the 18O/16O ratio and the 2H/1H ratio of water (expressed as δ18O and δ2H in parts per thousand). Knowing the isotope ratio helps scientists understand the environment from where water vapor formed and what temperature conditions were in force. Isotopes can even be used to peer back in time by studying air bubbles trapped in ancient ice sheets or studying sea sediment composition. Minuscule marine organisms called foraminifera build shells made of calcium carbonate (CaCO3) which include oxygen. Over the millennia their shells have drifted to the sea floor in layers which can be extracted in sediment cores. Analyze the δ18O values in sediment core layers and you’ll witness the pulse of the great ice sheets growing and retreating. Analyze snowfall in New England and you’ll see numbers suggesting how northerly a latitude spawned the storm system that deposited the snow. “We can help understand the environment at a higher level of understanding with isotopes.” Klein said he and fellow scientists are “Using isotopes to increase the sensory awareness, so to speak, of the Arctic domain,” and that’s an important task. What happens in the Arctic doesn’t stay in the Arctic. 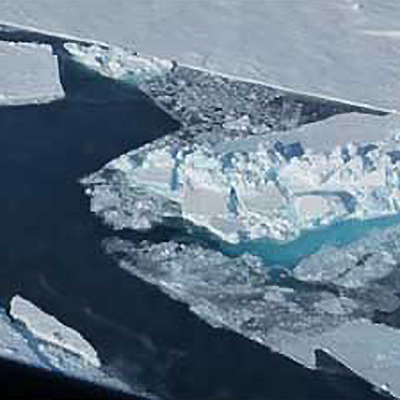 Sea ice conditions change the energy and heat balance of the planet. Altered Arctic water cycle trends impact sea ice traits, storm system pathways, precipitation trends, and plant and animal life. What is happening in our ever-changing world, and how do modern events compare to those in Earth’s past? 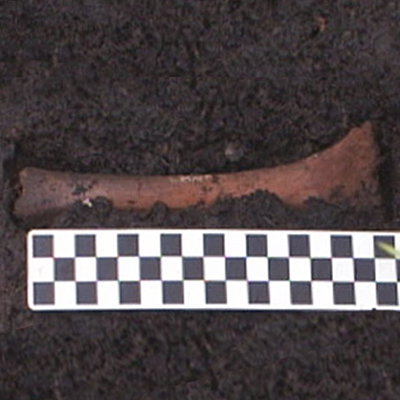 “Some of these questions we can begin to answer with isotopes,” Klein stated.